I’ll never forget standing on the edge of the Niagara River watching unbelievable amounts of water flow over the edge of one of the most famous tourist spots in the world: Niagara Falls. It is hard to fathom the constant flow of water, 365 days a year, that pours over this landmark. 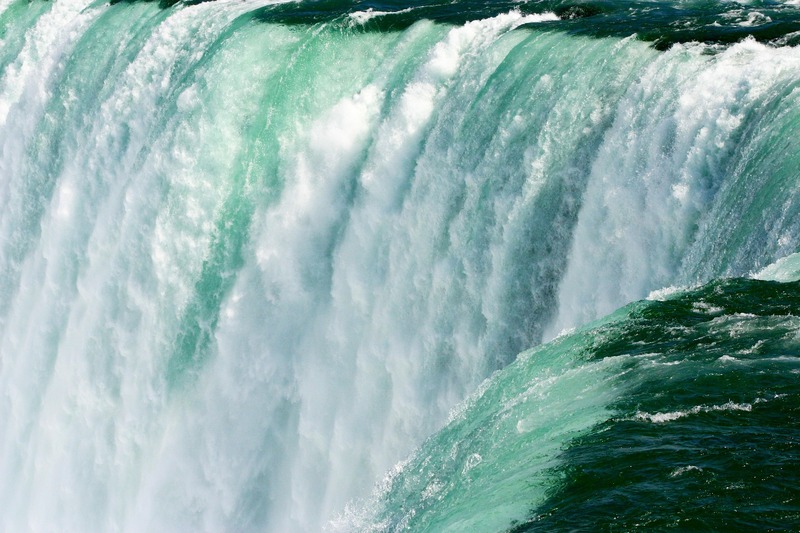 In fact, more than six million cubic feet of water goes over the crest of this falls every minute. Unbelievable! I’ve enjoyed many rivers throughout my life. I’ve kayaked down some and simply sat beside others enjoying the peaceful beauty of a quiet flowing stream. When I was a kid, I rafted down the Chattooga River. We got out of our rafts at one point, and our guide instructed us to get out in the middle of the river (we were wearing life jackets), lift up your feet, and enjoy the ride. It was a blast! Jesus stood on the last day of the Feast of Booths and made this declaration: “If anyone is thirsty, let him come to Me and drink. He who believes in Me, as the Scripture said, ‘From his innermost being will flow rivers of living water’” (John 7:37-38). Jesus offered an amazing parallel to an ancient tradition of the Jewish priests on this important day in Jewish life. It was on this day that the High Priest scooped up a pitcher of water from the Pool of Siloam and poured it out at the temple as a reminder of God’s provision of water for the Children of Israel as they wondered through the wilderness. With this backdrop, Jesus said, “If you are thirsty, come to me and drink and I’ll make sure you have a river of living water flowing from deep within you.” John’s commentary teaches us that this river to which Jesus referred was indeed His Holy Spirit. 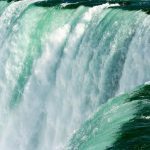 When thinking about the flow of the Holy Spirit from within our lives, I don’t think the Niagara River does God’s Spirit justice as a visual parallel. The flow of God’s Spirit from within us is a flow of power, of peace, and of refreshment. Do you need refreshment? Do you find your life right now to be a bit barren? Could you use the supernatural power of God’s Spirit in your life to deal with a particular challenge in your life? Jump in the flow, raise up your feet, and enjoy the ride.